With the support of Proximity Recordings, who introduced Tephra and Arkoze to admirers of underground music, the duo have proven them selves worthy and provided a mark on the scene. Whatever way they express themselves through music, they somehow manage to visit the past whilst simultaneously providing a modern twist. This unique sound suggests that these two appear to have a bright future ahead of them. DJ’s, Tephra & Arkoze are known for their tidy and clean yet energetic blending, with selection that is renowned for getting the crowd alive. Recently, this has seen the pair in demand on the international stage with gigs at clubs and festivals across UK and Europe. Their first release came in July 2013 after impressing Proximity Recordings in the form of their ‘Contrast’ EP. With proof of their ability shining through this debut EP, Basher decided to exclusively sign the pair. Proximity Recordings, with an eye for spotting new talent, paved the way for the act to have a flurry of releases on the label. Four months after their initial release they provided the deep sounds of ‘The Lions den’, with flip featuring Innate Mc, titled ‘Pressure’. They started the New Year with urgency and depth with another EP ‘Concrete Rose’, featuring hip hop artist ‘Marvellous Southstar’, followed by the ‘Exile’ EP a few months later. The latter, featured the widely supported ‘Remorse’, which epitomises the ‘Tephra & Arkoze’ sound. The string of releases on Proximity earned this explosive act a spot on the sixth Proximity LP with their jaw-breaking track entitled ‘Setback’. With mutual agreement between the label and the duo to release where they please, the closing of 2014 saw them have their debut release on Nurtured Beatz, ‘New Blood’, with side B being privileged enough to behold half-step smasher ‘The Gunman’. 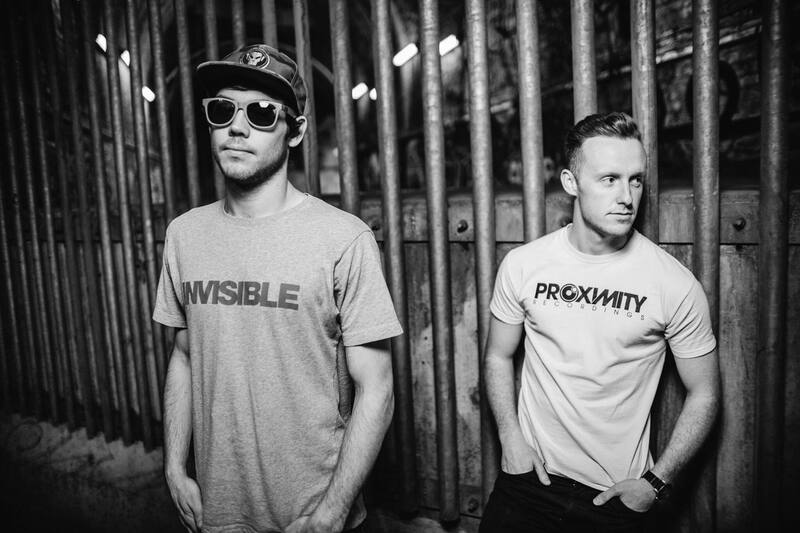 They kicked off 2015 with a solid single entitled ‘Ninjutsu/The Pulse’, shortly followed by ‘Reactive’, which featured, on a varied artist EP with Vandal Records. Tephra & Arkoze’s first vinyl release came in late 2015 on the hugely respected Invisible Recordings. Entitled ’Pattern’, this was the outcome of a collaboration with the Berlin based duo ‘Survey’. The eerie, mysterious and broken beat was admired by many, with support from the likes of Friction, Hazard, Ulterior Motive, Amoss and more. With the duo starting to develop a signature sound, it wasn’t long before Dispatch Recordings turned their attention to them. This saw the release of the ‘Ascertain EP’ on Dispatch Limited in early 2017. With MC Fokus providing raw, thought provoking and intelligent lyrics on the title track,  ‘This World’ saw the pair collaborate with Survey again for a more  dance floor orientated track. Vandal Records came back for more, with ‘Deep Fried’ coming out on R’aw Cutz Vol.2’, featuring the talented Manchester based Hip-Hop artist, ‘Sparkz’. The success of the ‘Ascertain EP’ saw Ant TC1 release their ‘Evolution EP’ in early 2018 with Hillzy collaborating on Instinct and the elegant voice of Charli Brix featuring on the liquid roller, ‘Suddenly’. The latter part of 2018 saw the release of the ‘Stick Up’ EP, a collaboration with Survey with ‘Next to You’ smashing the dance floor. Many more sounds can be expected to come from this duo in the near and not too distant future. Another collaboration EP is on its way with Invadhertz on Addictive Behaviour, with the launch of the release being showcased at Fabric in October. Furthermore, collaborations  with Mc Fokus, Mauoq and Interline are in the pipeline. The boys are now a big part of the up and coming scene. With their unique merge of old and present, the duo can expect exciting times ahead of them.